Are you planning on giving yourself a brand new look through cosmetic surgery? Rhytidectomy is a procedure carried out on your facial features that corrects factors such as saggy and wrinkling skin allowing you to embrace a much more youthful appearance that can stand the test of time. However, while you may be enthusiastic to take on this opportunity at looking better, there are a set of questions that almost all patients ask. Here they are so you know what exactly to expect. Do You Require General Anaesthesia For The Procedure? Yes, you will be put under general anaesthesia certainly. 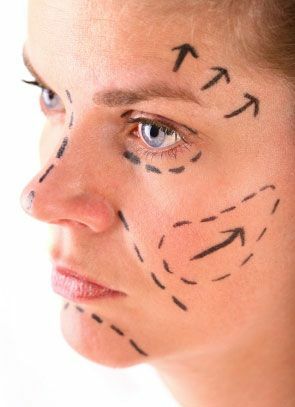 The reason is that a facelift is a very complex and intricate procedure that takes a lot of time and skill not to mention it needs to be done just right, as it will be the first thing that is visible once you have healed. You will be put under general anaesthesia and you will also need to be admitted overnight to ensure that you receive the best possible care. Will Scars Be Clearly Visible? Just like in the case of any wound or operation, the scars will be visible immediately after you have gone through the process. But all incisions that are made are done carefully to ensure that they will not be seen or noticed after you have healed completely. If there is even one that bothers you, they too can be patched up and taken care of, usually with the help of minimal secondary operations. What Will Your Recovery Time Be Like? This will change considerably from one patient to another. For the majority of patients in recovery, the majority of the swelling which is really very normal will subside within the first seven to ten days after surgery. The majority of patients also feel comfortable enough with the way they look to get outside and back to their routines by about the end of the second week, and anything else that lingers such as minor swelling will be resolved completely at the end of four weeks at the most. Is Asymmetry A Common After-Effect? Every human being has a very minute amount of asymmetry prevalent in their body as well as their facial features which cannot be really noticed at a glance. However, when you undergo this surgery, if the doctor has the required skill, there is only a very rare chance that there will be distinctive and stubborn asymmetry after the process. Sometimes, the facial nerve can be bruised and this can lead to asymmetry but that too goes away after a few weeks. Can Any Doctor Carry Out The Procedure? No they cannot. A medical professional needs to be highly qualified and trained in this particular area as they will be dealing with your facial features and restoring them to a former youthful appearance. A slight mistake can take a really bad turn if they are not sure about what they are doing. This is why you need to make sure that you go to the right specialist for the procedure. Whether you’re currently (and nervously), racking your brains for ideas for the perfect proposal, or are an event planner who puts together this sort of thing, it always helps to have a handy guide of tips at hand. After all, you normally only get to do this once, so it is quite understandable that it must go off without a hitch. However, you also probably have no clue on how to go about it, which is why the following should help kick you off to a great start. No how different your personalities may be, you will be able to set up an unforgettable event; one that would make a forever story to tell your grandkids someday. Remember when Kanye West booked out an entire stadium in San Francisco to propose to Kim Kardashian? Who could forget? He famously flew out all her family and friends and hid them there so they could watch the whole thing unfold. Of course this also included a complete orchestra, but that is something for another day. In short, you need to figure out whether you want this to be a private, intimate moment between the two of you, or whether you are happy to share it with loved ones. Try to make sure she is on the same page as you beforehand. You know, just in case! It would be quite useless to scout out the best engagement rings Melbourne for instance, if you still have not narrowed down a place for the occasion. Yes, this is important. It lays out the setting, the mood and of course the meaning. 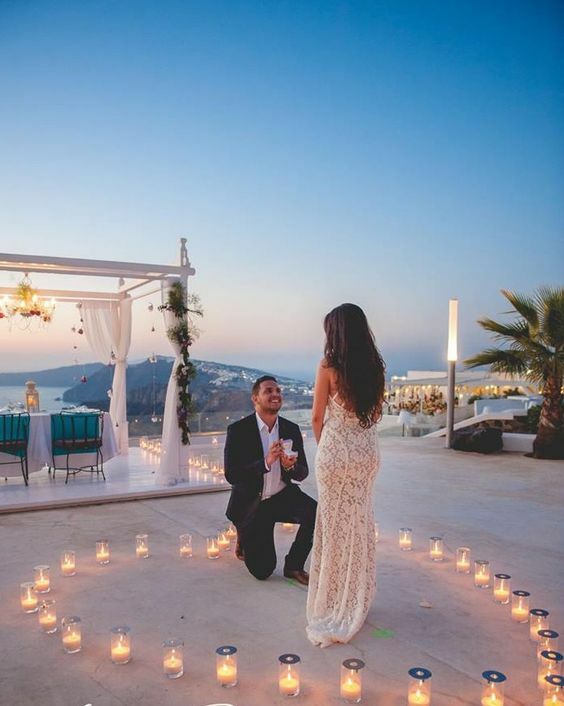 Some like the more cliché stuff like Eiffel Tower proposals and proposals by other iconic landmarks, but others like to make it more personal. So you could, for example, book her favourite restaurant, take her to her favourite city or simply her favourite spot inthe city. Wherever you choose, remember it must have some meaning behind it for it to hold some worth. This is a rather subjective requirement, so there is no such thing as a must with it, but more and more people are definitely choosing to opt for this. Hire an expert photographer, who would be able to capture everything, including the look on her face when she realised what is going on. These photographers know how to stay hidden and not expose themselves before they should, allowing you to look back on some priceless memories. However, if you both are again people who prefer absolute privacy, you can choose not to hire one as well. There is little that music cannot do. Hence if possible, you should definitely look at putting together a few tracks that are symbolic of your time together, and play them if the location permits. Setting the mood with music is a great way to personalise the experience, and she will absolutely love it. Pick the most significant tracks and create a medley if you will. If you want to take it up a notch, you can plan the whole thing out like a play, so there is something different with every song. Want to know how you can look as young as possible without using harmful skincare products? Keep reading!